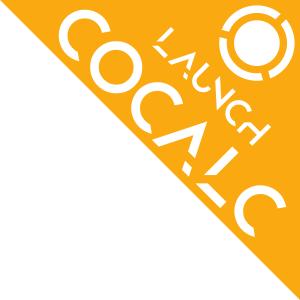 CoCalc is a modern web-application, but there are many already existing desktop applications. This aspect of CoCalc brings such applications to the web, by running them inside a minimal graphical environment and presenting them to you via the browser. It is even possible to collaboratively work on the same application – although be warned that this is quite confusing! See this blog post for more screenshot and further explanations. 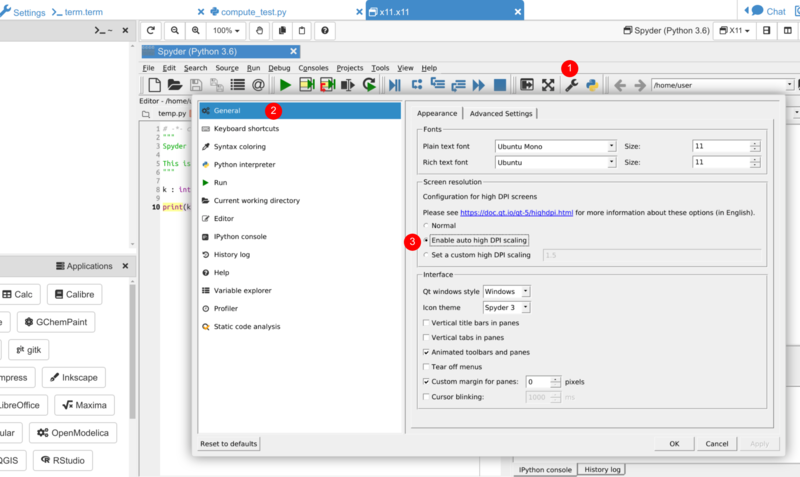 Initially, that X11 area is empty and you have to start an application. 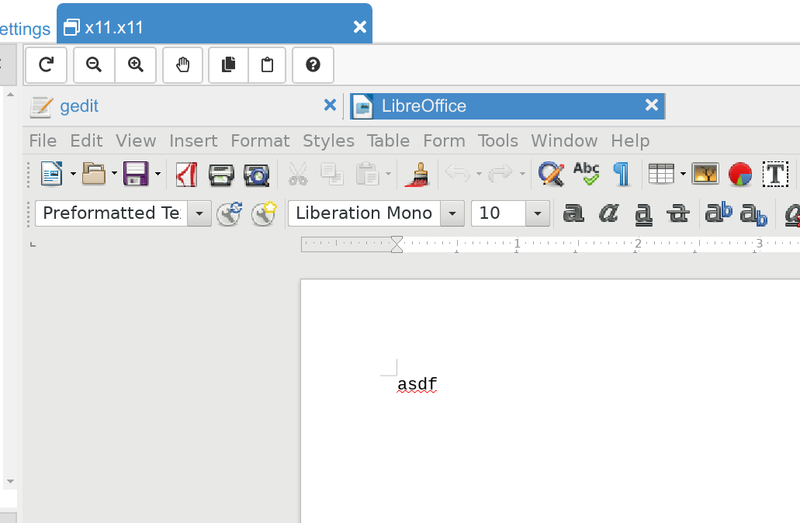 To get started, we suggest to launch a simple text editor like Gedit or LibreOffice Writer. 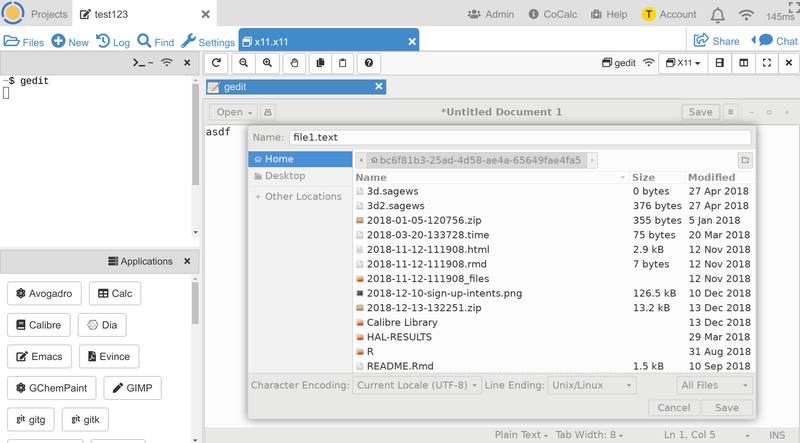 In the screenshot below, you can see that gedit was typed into the Linux Terminal. After hitting the return key, the application was launched and the window is shown. The characters “asdf” were typed in and then the “Save”-Button at the top right inside the Gedit windows was pressed. This opened up an overlay dialog window. There, type in the filename and click “Save” at the bottom again. Afterwards, this did create a file named file1.txt in the current directory. Go ahead and open it up inside of CoCalc! Modal dialogs open up as almost-maximized windows on top of the current window of the application. An overlay dialog window without a Close, Ok, or Cancel button can be closed by clicking on the application visible in the background; i.e. the surrounding area of the dialog. Many languages like “German” will only work well with the variant “no dead keys”. CoCalc tries to match its virtual desktop size to the size of the frame inside your browser window. It will also calculate an appropriate zoom level based on the resolution of your screen. However, this might not always work. At the top of the X11 area are zoom controls, which allow you to change the resolution. Sometimes, it might also be necessary to change some settings within the application itself (some zoom related ones in its preferences), or to change the size of the panel or browser window itself. CoCalc dynamically resizes the desktop and the application will redraw accordingly. Inside the small Linux Terminal on the side, you can run programs or your own scripts. 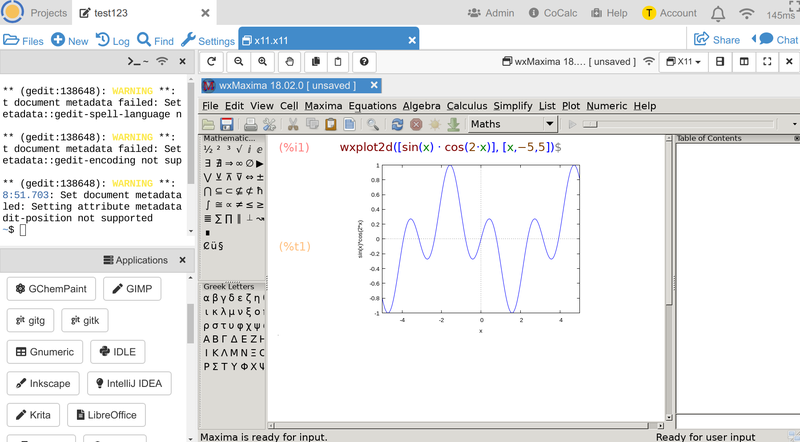 For example, this could be a Python script, or even a full application: try this matplotlib: Embedding In Wx5 example. Behind the scenes, after the X11 environment starts up, the $DISPLAY variable is set to tell the application where to show the graphical window. Please wait until it is initialized, which you can see after the connection indicator at the top right next to “X11” vanishes. Otherwise, you’ll get this error message Unable to access the X Display, is $DISPLAY set properly?. Touch events barely work at all. Even an external keyboard will NOT work on an iPad (keys will be stuck, etc.). gchempaint Draw chemical formulas (no single-window mode, though) chem ? jedit Java-based text editor text ? tikzit A super simple GUI editor for graphs and string diagrams latex, graphics ? physics tools for physics, engineering, modeling, etc. If the visible buttons/controls are small, especially if you have a high-res display, and zooming alone doesn’t really help much, enable HDPI rendering. That’s available for some of the applications in their respective configuration dialogs. 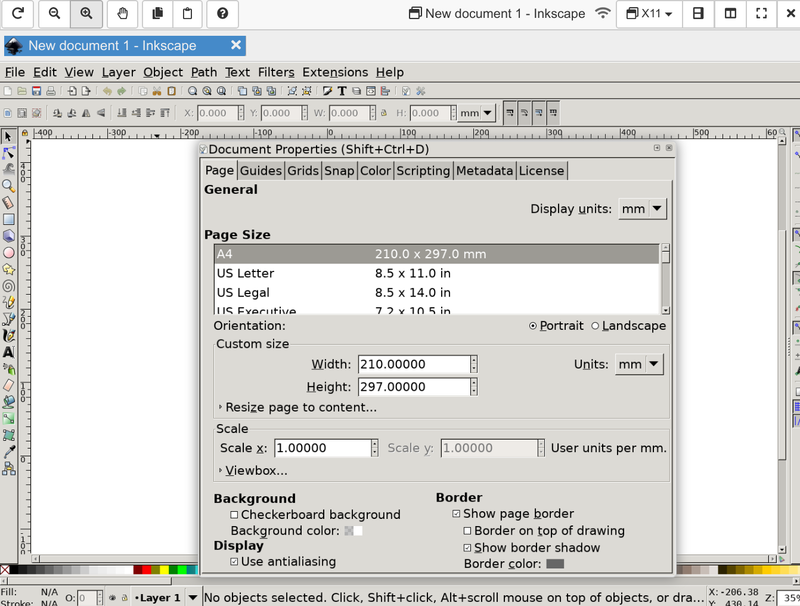 RStudio: On high resolution displays set Tools → Global Options → Appearance → Zoom → 200%.